in Sierra Leone in December 2014. One Stone’s response wasn’t exactly a surprise. In up-country Sierra Leone, in the central chiefdoms of Kono District, the man with the rapper-inspired nickname was a known member of a young gang that tried, a bit too aggressively, to wash cars on the red-dirt avenues outside the gaping diamond mines. “He was a rude guy,” recalls Fodei Daboh. Still, no one expected One Stone* to explode quite like he did. After being diagnosed with HIV, One Stone left the clinic, threw away the free anti-retroviral medicine, and gathered up his posse. They surrounded the house of a local health worker and shouted obscenities at her loud and long, as if she was somehow responsible for his illness. Daboh, Partners In Health’s community health worker manager in Sierra Leone, took over. Since 2010, he has worked with PIH and its precursor in Kono, Wellbody Alliance. He currently manages a large staff, including 101 community health workers who support and advise patients during treatment and accompany them to the facility when they need care. One of those community health workers was the woman One Stone had yelled at. “He’s just such a boss,” says Mara Kardas-Nelson, director of community based programs at PIH Sierra Leone. 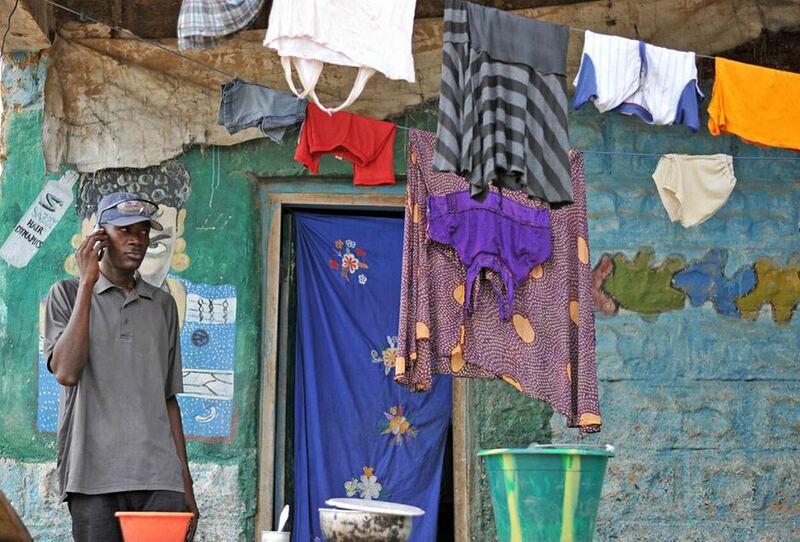 “You walk through the back streets of Koidu on a Saturday morning and everyone greets him. He stops to say ‘What’s up,’ ask how a person’s health is, ask about their goats, make little business deals. He knows everyone, is an integral part of the community.” And by all accounts, he goes the extra mile to make sure patients get what they need. He wasn’t a fan of One Stone’s bad behavior, but he also wasn’t about to let the man kill himself. After asking around a bit, Daboh found the car washers and sat down with One Stone. “They were having beers, so I went to the bar and bought two bottles of beer and came back and gave him one,” Daboh recalls. It seemed to ease tensions, and provided an entré into the clique. Every few days for more than a month, he hung out with One Stone, often buying him a beer but never bringing up his HIV diagnosis. Daboh finally entreated One Stone to get help: “I said, ‘One Stone, you are my brother. Before you die young, before it’s too late, I want to take you to a hospital.’” It worked. The slow accumulation of trust allowed them to take the first steps toward treatment together. Today, a year later, One Stone is not only healthy, but a friend to PIH and Daboh. 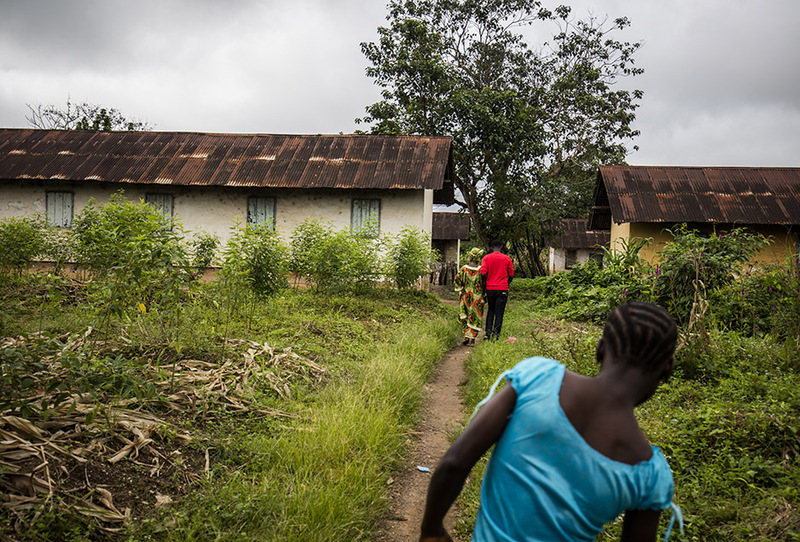 reporting to Daboh, walks with an HIV patient (left) in Koidu city, Sierra Leone, in September 2016. Only some of the 800 HIV and tuberculosis patients that Daboh’s team of community health workers support are as demanding, but the anecdote is illustrative nonetheless. Every health worker strives to meet the unique needs of each patient. And Daboh—personally, expertly—has invested similar time, energy, and sympathy toward hundreds of patients, from a baby abandoned at the clinic to a grandmother who needs help going to the bathroom. That empathy wasn’t easily won. Daboh was born in Sierra Leone’s Bo District in 1972 and dreamed of being a lawyer. Beginning in 1990, he moved from school to school to stay ahead of the spreading civil war, ultimately fleeing Freetown when the violence finally caught up to him there. In neighboring Monrovia, Liberia, his sister, gainfully employed, paid his university tuition fees until that country’s civil war engulfed them, and he went from budding law student to homeless man in a bullet-riddled city. “It was not easy,” he says. Allen Peal, the son of the Liberian ambassador to America, who had seen Daboh around and liked him, gave him a chance to manage a one-truck shipping enterprise. Daboh quickly proved his worth and was invited to work as a clerk on a rubber plantation, where he again excelled. Some four years later, he supervised 1,000 rubber harvesters. 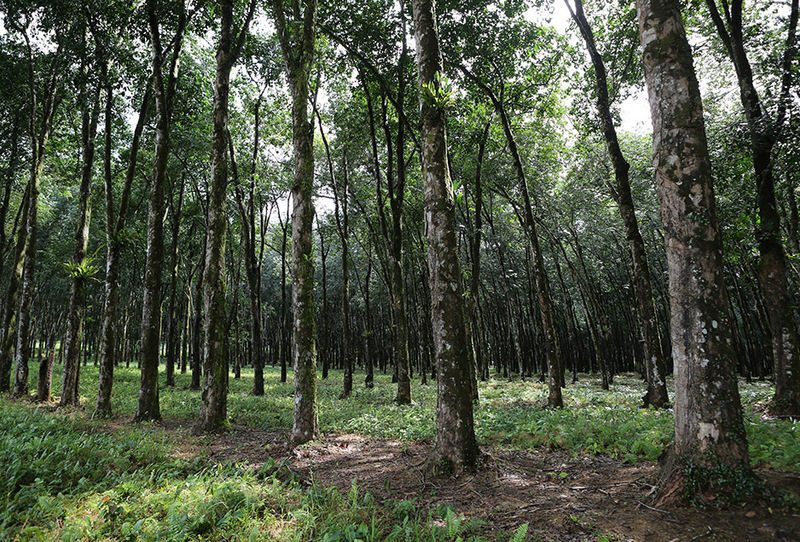 A Liberian rubber estate not unlike the one where Daboh worked as a supervisor. With an aging mother in need of care, he returned to Kono, Sierra Leone, in 2004, and used his savings to set up a small mining operation. It wasn’t a bad bet. Kono was then one of the most valuable and productive diamond mining regions in the world. Alas, his 10 employees found no diamonds, and he ran out of money. He looked for work for two years, without success. In 2007, things started to look up when a former headmaster offered him a job as a teacher, but the sunny forecast didn’t last. “I started getting sick—continuous, continuous, on and off, on and off,” he says. Weight loss. Fatigue. A chronic headache. He persisted as a teacher, but with hospitals and clinics in the area offering few, shoddy, or no advanced tests for illnesses like HIV or TB, Daboh treated himself with whatever medicine seemed right. He was 37 years old. He had been rich and homeless, safe and caught in crossfire, and healthy and perilously sick. And he had yet to give up. He also proved a natural leader. Convinced his symptoms spelled HIV, he joined a nationwide support group called NETHIPS, the Network of HIV Positives in Sierra Leone. He learned about the disease, became a district coordinator, and supported the organization’s expansion, helping them win a grant from a partnership with the World Health Organization. When Wellbody Alliance, which is now a part of PIH, began the community health worker program in Kono in 2010, it immediately hired him as a community health worker. And that’s when he secured for himself yet another chance at a stable, long life. “On the day of the TB training,” recalls Daboh, “the guy knew how to teach so well, after he had explained the signs and symptoms, I stood up and said, 'I know my problem. '” With help, he managed to finally get a TB test, which confirmed that yes, he had had TB all along. Daboh is cured now, and his community health worker program is seen as a model for the nation, with government officials, including the Minister of Health, visiting the district. The program supports patients across Kono, which has a population of just over half a million people, and sports impressive results: patients attached to a community health worker are 50 percent more likely to stay in care and demonstrate higher CD4 rates, a measure of immune response. Of course the increasing commitment might not have to do with patients. It could be that people become more and more committed to helping the sick and vulnerable the more time they spend with Daboh.